I didn’t watch the Super Bowl, but I did end up finding out about Chrysler’s dramatic attempt to frame the massive federal bailout of their floundering corporation as something to get patriotic about. During the half-time commercial break, Clint Eastwood snarls that “It’s half-time in America” . . .
Of course, this revival of Detroit is just ephemeral and hopeless as every single one of the dozens which came before it. As the primaries draw closer to Michigan, the presumptive GOP nominee Mitt Romney will preach an equally vacuous message of false hope and empty patriotism in some factory somewhere in Detroit. While Mitt’s taken to mocking Obama’s message of “hope” as nothing more than a slogan on an old bumper sticker, his family’s own legacy of lying to the people of Detroit about the future spans generations. 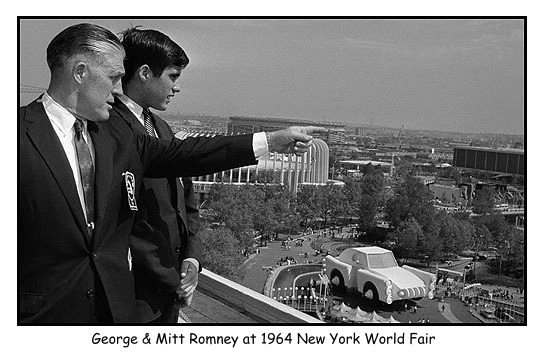 Mitt’s father George Romney was perhaps the first man to deliver Clint Eastwood’s sappy deception while head of the Detroit Victory Council, an organization created to deal with the 1943 Detroit race riots . "One day, son, you'll have my job of peddling false hope to that festering cesspool over there." He rode that jingoistic happy talk into the governorship, even making a shot at the Presidency. As with Eastwood in the Chrysler commercial, neither George nor Mitt nor Barack actually have a plan. As far as I can tell, the basic premise is that life is a fairy tale and we are the good guys, therefore we will end up “winning the future.” Exactly how we’ll win or why we’re the protagonists is left for the viewer to imagine. It’s not half-time in America. It’s game over in America. Americans are no longer the good guys. We’re wallowing in degeneracy at home and slaughtering innocents abroad. Americans are no longer even Americans, having transitioned so dramatically from the founding stock as to be completely unrecognizable in appearance, principle, and effect. Clint Eastwood growls “It seems like we’ve lost our heart at times.” Actually, it doesn’t just seem like it. It is an incontrovertible anatomical fact that we’ve lost our heart. He continues, claiming that “The fog of discord, division, and blame made it hard to see what lies ahead.” It’s only humane to find some way to hide from Americans what lies ahead. “But after those trials, we all rallied around what is right and acted as one.” What’s right? Clint Eastwood won’t tell us. Therein lies the deeply disingenuous nature of this commercial. Nothing “right” was decided on and rallied around. They’ve essentially taken a very small and very temporary increase in Detroit’s industrial productivity, a “dead cat bounce” propelled entirely by massive and unsustainable government subsidization, and pretended that it’s a sign of hope. There’s a bait and switch at work here. That country couldn’t be knocked out with one punch. That America could fight and defeat the world’s greatest military empire. That America could be ripped in half by a devastating civil war, pick up the pieces, and move forward. That America could fight and defeat the world’s second and third most powerful armies at the same time. That was that country. This country slumps into a third world quagmire at the breaking of a single levee. This country’s streets spill over into godawful riots at the slightest provocation. This country . . . whatever it wants to call itself . . . has to borrow from the East Asians, who actually operate profitable manufacturing centers, to keep a handful of the lights on at our own rotting and ruined manufacturing centers. At the risk of sounding unpatriotic, I do not have hope for this “America.” This America wants to flood the globe with a nightmare swarm of corporate exploitation and robotic drone assaults. That America was a White Christian republic. This America is an anti-White, anti-Christian oligarchy controlled by a vast network of Zionist infiltrators, international bankers, and multinational corporations. At the risk of sounding unpatriotic, I do not want to “join together” with this motley bazaar of strangers  who are at best alien to and at worst hostile to the America I’m loyal to. Loyalty to my American nation is treason to this American state. 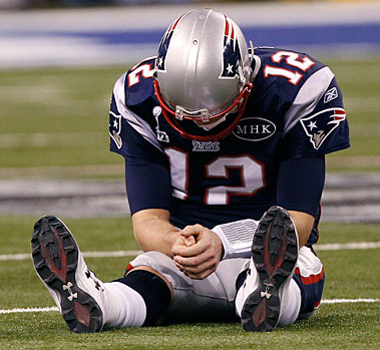 For all Clint Eastwood’s triumphalism, the game is over and the patriots have lost.